The 2012 Quebec general election  is set to take place on September 4. 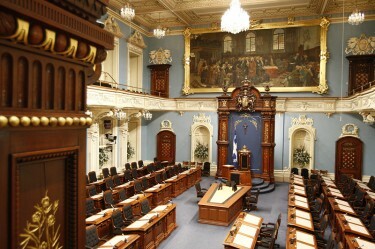 It will appoint the members of the 40th state legislature of the National Assembly of Quebec . The latest polls show that the Independentists of Parti Québécois (PQ) , a political party that advocates national sovereignty are in the lead. Political life in Quebec has long been molded by the feuds between Federalists and Independentists. 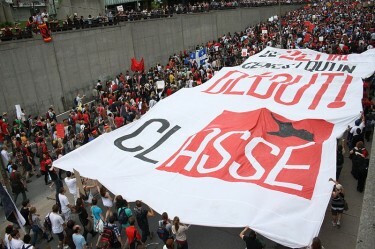 This year however, the effects of students’ strikes in response to the increase in university tuition fees  [fr] will strongly impact on the voters’ choices. Netizens from Quebec have reacted to the opinion polls a few weeks ahead of the vote.